Kelly Raggazino, Executive Director of Open Hearth, has been with the nonprofit organization for 19 years. Open Hearth’s mission is to provide innovative programs to help people end the cycle of homelessness and achieve financial self-sufficiency through its own direct provision of services, as well as an established network of other nonprofits, so the families they serve can acquire affordable housing, a means of transportation and financial viability. Kelly was appointed Executive Director in January 2015 after holding several positions within the organization, starting with direct service work. Kelly has been instrumental in Open Hearth’s growth and development. Open Hearth started with just one program but now the organization has grown to administer a total of 13 programs to meet the various needs of our community in the area of housing, transportation, financial management, and community building efforts. Through Kelly’s leadership, in the last two years, the organization started several new partnerships, added four programs, and more than doubled its operating budget. Outside of her executive role at Open Hearth, Kelly is the Vice President of The Community Coalition, an innovative model of collaboration among five Chester County non-profit organizations dedicated to fundraising together and sharing resources. She also co-chairs the Phoenixville Area Cross-Systems Partnership, focusing on the mission to reduce barriers of those experiencing homelessness and she serves on the board of Gateway Housing Group, whose mission is to provide programs and financial assistance to help people with a mental health diagnosis, drug/alcohol, or serious medical issue acquire or maintain housing in order to assure the best opportunity for success while actively engaged in formal treatment. The newest member of the Department of Community Development (DCD) is Hilary Haake. Hilary started as the Homeless Management Information System (HMIS) coordinator in early December. Hilary came into DCD with vast experience in managing databases and reporting but this is her first job in the non-profit sector. She had previously worked for corporate profit centers and other businesses where excelling did not mean nearly as much as it does now. At DCD, Hilary feels her work is exponentially more rewarding and that she can indirectly aid people in need by providing key decision makers with essential data to push them in the right direction and better our community. Hilary was born in the Chicago suburbs but moved to Chester County when she was nine so she is very familiar with the area and how it has grown over the years. Growing up in Chester County, Hilary says she has a strong connection to the County and she’s excited to be able to have a positive impact. Growing up, she admired her grandmother who was not as fortunate early in life. Hilary explained that her grandmother had lived in an orphanage until the age of 14 and found a way to stay positive and determined throughout her entire life, eventually passing that trait and optimism down to her grandchildren. Hilary told me that her grandmother, “always had a clever way of making things better,” even in the toughest of situations. Hilary never had one dream job growing up because she had so many interests. In high school, her passions were art, history and math. These interests eventually pushed her to develop key analytical and problem solving skills that lead her in this career direction. Outside of work, Hilary is hunting for antiques and vintage collectibles at auctions and garage sales but she has not had much time for that because her free time now is spent helping her sisters plan their weddings. Hilary has also been quite busy adjusting to her new role at DCD. She never has one typical day, which is a good thing. She spends her time helping providers with their system needs and collaborating. There is consistency in her work though in that a significant and extremely important part of her job is data maintenance. Hilary also has a variety of small projects on her plate at all times. In short, she’s very busy, but she loves it. “Empathy is the main piece that you need in order to get into the field; the rest will fall into place”. Hilary gets through even the hard days with her positive attitude. She knows what has to be done at the end of the day and she lets nothing stop her. Her personality also aids her work in that she is very analytical, likes mystery and reconstructing things backwards. She’s a problem solver and that is a huge part of the work she does at DCD, constantly brainstorming and problem solving. Her favorite day at work so far was attending the Voice and Vision Meeting where we heard from a panelist of people with lived experience. She found that the meeting was inspiring and so important to move forward as a County and end homelessness. Hilary finds the most significant challenge for low-income families in Chester County to be lack of affordable housing inventory and the cost of utilities. She’s confident that we could end homelessness tomorrow if we only had the resources because we have the skillset in the County. On another note, if Hilary could have anyone play her in a movie about her life it would be Mira Sorvino. I hope you enjoyed getting to know more about Hilary Haake, our new HMIS program coordinator for the Department of Community Development. Katelyn feels proud of the work she does, which helps her get through the tough days. “We are doing something bigger than ourselves, and that leaves a lasting difference. It’s a ripple effect – if you help one person, they can pay it forward and help someone else.” Katelyn also admits that some ice cream and maybe a margarita after work helps her destress after a long day – “And I couldn’t get through the day without coffee, and lots of it,” she laughs. In her free time, Katelyn enjoys living a simple life. She loves watching The Office on Netflix with her fiancé and her cats. “As soon as I move into a house, I want a puppy,” Katelyn admits. “I have a soft spot for animals in need. I want to adopt every animal I see.” Katelyn also loves to travel whenever she gets the chance. When asked who she would want to play her in the movie about her life, she responded, “Kristen Bell. People have likened me to her before.” She would also choose to be a horse if she could be any animal, because they are wild and free. If you are thinking of attending one of our four movie screenings in the county but aren’t sure which movie you want to see most, look no further! I will break each down for you to ensure you pick the best movie for your interests and preferred genre. There are four nights and three movies: The Soloist, The Lady in the Van, and The Pursuit of Happyness, which will be playing twice because it is an obvious fan favorite. If you are interested in seeing the Smith father-son duo (and I’m not sure why you wouldn’t be) then come by our movie screenings on November 13 at East High School or November 15 at Unionville High School, or both, if ugly crying is something you like to do more than once a week. The simultaneously heartwarming and heart wrenching film chronicles the story of a family struggling to meet their basic needs. The family is thrown deeper into trouble when father (Will Smith) pursues a huge career opportunity and risks accepting a 6 month unpaid internship with a stock broker in hopes that he will be the one offered a full time position at the end of the term. The Pursuit of Happyness is an important film for everyone to see in order to better understand that homelessness does not discriminate. Will Smith won a Best Actor Oscar for his performance in The Pursuit of Happyness, so it is not a movie that you want to miss! The Soloist provides a mental health perspective on homelessness. Jamie Foxx plays Nathaniel, an extremely talented musician who suffers from Schizophrenia – the main reason he had to drop out of Julliard and ended up living with all of his belongings on the streets of Los Angeles. Columnist Steve Lopez, played by Robert Downey, Jr., takes a keen interest to Nathaniel when he desperately needs an idea for a story. The film offers a rude awakening of the darkness of both homelessness and mental illness. This film is inspired by a true story, in case you needed another reason to come by The Gordon Literacy Center on November 14 to watch it with us for free! Lastly, Maggie Smith provides a breath of fresh air in The Lady in the Van. Maggie plays a quirky, outspoken older woman who voluntarily lives out of her van. Another true story, the film follows her and her neighbor, Alan Bennett, after he suggests she park the van in his driveway for a few months after many complaints from others in the neighborhood. These few weeks turn to months and eventually 15 years in Alan’s driveway. The film depicts how much you can learn about someone after 15 years and captures the woman’s fear and struggle beneath her hard and witty exterior, a struggle that explains why she is so adamant on living in her van. The important thing to remember here is that usually there is more to someone’s situation than what meets the eye. Get to know a person before you assert judgement. You can catch this film at the Colonial Theater on November 15! My name is Carly Hill, and I am a senior social work major at West Chester University. Besides being a student, I work as an intern on Tuesdays and Thursdays. On Tuesdays, I intern at Friend’s Association in West Chester and on Thursdays I intern at the Department of Community Development. At Friend’s Association, I assist with shelter case management and volunteer tasks. Sometimes my tasks are as simple as giving winter coats, cleaning supplies or hygiene products to families that need it. I also design the bulletin board at the shelter, which advertises community events, Friend’s Association updates, and resources. Also, I helped set up and attended Friends Association’s Fall Festival at the Oscar Lasko YMCA. When I am helping with shelter case management, I meet with the families, assess their needs, and discover what led the family to becoming homeless. Also, I help the families create and accomplish a goal plan. My work includes connecting the clients to resources, such as mental health services, food banks, rapid rehousing programs, and child care. At DCD, I have many roles, which include working with the Decade to Doorways team, the VISTAs, and sitting in on meetings. Also, I sit in on the VI-SPDAT calls with Gene Suski and other staff members. Decade to Doorways focuses on hunger and homelessness awareness and is Chester County’s ten year plan to end and prevent homelessness. I am working with the Decade to Doorways team to plan the annual Point in Time Count. Also, I am helping to advertise for the National Hunger and Homeless Awareness Week movie nights, which take place during the week of November 12th. Another task of mine includes sitting in on Permanent Housing Options Committee meetings, where I take notes and keep track of the meeting minutes. There is a true fascination in seeing and participating in many aspects of ending and preventing homelessness. Whether that be the micro level of helping families one on one, the mezzo level of sitting in on meetings, or the macro level of learning about DCD and HUD policies. I was trained on how to use Chester County Client Information Management System (CCCIMS) and how to complete a SPDAT assessment. As a bachelor’s level social work intern, I have learned an incredible amount over the last few months. I will be interning at both Friends’ Association and DCD until May and I am excited to keep learning how to prevent and end homelessness. The Community Action Association of Pennsylvania acknowledges the determination and exceptional accomplishments of those who have persevered through financial and personal hardship by presenting these individuals with Self-Sufficiency Awards. Among the 22 award recipients recognized during the 20th annual award ceremony, three of these individuals were nominated by the Chester County Department of Community Development: Angela Bush, Cecelia Jackson, and Susan Jones. Cecelia struggled for years to find a safe and comfortable home for her and her four children. In 2009, she moved with her family into Gateway Shelter. While there, she tried to obtain Section 8 housing assistance, but was turned down. 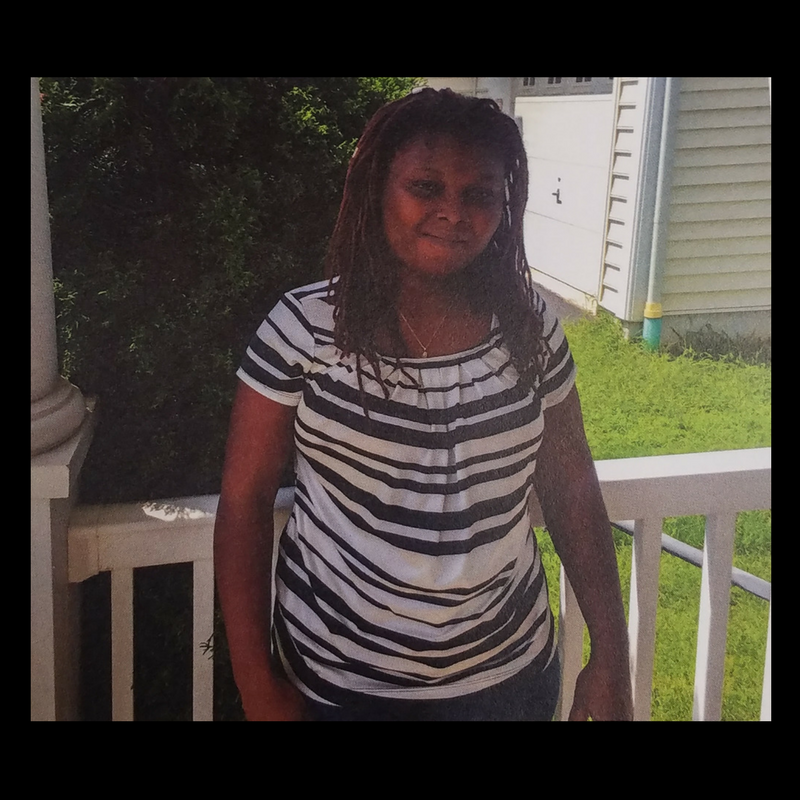 After some hard work and persistence, Cecelia moved into 532 Supported Housing and found employment using her Certified Nursing Assistant certification. During this time, Cecelia was accepted into the Bridge of Hope program. Through the help of the Bridge of Hope mentors and their childcare assistance, Cecelia was able to begin setting goals and becoming more financially stable. In 2011, Cecelia and her family moved into a CYWA apartment, where she was able to connect with additional professional development opportunities. In 2014, Cecelia got married, and in 2016, Cecelia and her husband bought their very first home together. She has worked at Simpson Meadows Retirement Community for years, and her next big goal is to earn her Registered Nurse License and begin working with infants. Congratulations to all the recipients of the 2017 CAAP Self-Sufficiency Awards! October 4th marked a historical day for Phoenixville, as construction officially commenced on the new 3.2 acre affordable housing development, SteelTown Village. The $13 million project, developed by Petra Community Housing, will feature 48 units of affordable one-, two-, and three-bedroom apartments, which will house veterans, persons with disabilities, workforce families, and the elderly. Proposed in response to the need for more affordable housing options for low-income families in Chester County, the project faced several years of setbacks, including resistance from neighbors and soil contamination. After numerous meetings, environmental analyses, and soil remediation, final approval for the project was granted in March. Don Coppedge speaks about SteelTown Village and affordable housing. Steve Kambic, executive director of Petra, led the groundbreaking ceremony on the morning of October 4th. He compared the initiation of the project and its setbacks to “herding cats across a minefield – and then someone lets out a pack of dogs.” After identifying the property Kambic wanted to use for the project, which was not initially for sale, Kambic pushed forward because he believed in the mission, despite the obstacles he knew would come. The Alliance for Nonprofit Resources (ANR), The Community Action Association of Pennsylvania (CAAP), and PANO teamed up last week to put on the 2017 collaborative conference, Inclusion by Design. A few of us at the Department of Community Development and Decade to Doorways kicked off October at The Penn Stater Hotel and Conference Center to attend the conference and learn about how to bring together all of the voices of our community. Inclusion by Design was created to bring together an array of voices in our community and learn how to successfully eliminate bias in the workforce and in our daily life. The conference opened with a very special guest, Candi Castleberry, the founder of Dignity & Respect Inc. and Vice President of Inclusion and Diversity at Twitter. Candi was an incredibly engaging and inspiring speaker who spoke on achieving an inclusive culture for everyone in your workplace. Candi’s presentation was followed by a slew of workshops that echoed her ideology, honing in on communication, bias, cultural competency, advocacy, mindfulness, and building meaningful workplace relationships, just to name a few. Candi was a tough act to follow, but the other keynote speakers did not disappoint. Dr. Al Condeluci’s presentation was as energetic as it was relevant. Al is the CEO of CLASS, a non-profit focused on supporting people with disabilities, and bounced around the room offering the audience incredible enthusiasm about our ability to advocate for each other in our communities. Dr. Frances Kunreuther, co-director of the Building Movement Project also spoke to us on how to strengthen and diversify nonprofit leadership. The entire conference was filled with intelligent and important conversation. My personal favorite part of the conference was the self-sufficiency awards. Every family and individual who received an award had overcome incredible challenges with the help of one of the sponsoring organizations. The room was filled with pride and positivity as these amazing award recipients sent a message that we can all overcome the odds with a little bit of support. The 2017 Collaborative Conference Inclusion by Design’s message is so important because the event focused on how to become better; not just better at your job, but better to each other and to ourselves. Inclusion requires genuine conversation and constant self-reflection. If you missed out this year, you can always join in for the 2018 Collaborative Conference next October at State College! Jack Williams, Co-Executive Director of the Berks Coalition to End Homelessness, opened the program with a story. He explained that his wife was a kindergarten teacher, and one night a woman came to the school with all four of her children for a parent teacher conference. The woman’s car had broken down seven miles away, and she had to walk the rest of the way to the school with her children in the pouring rain. Jack’s wife decided to dig a little deeper, and discovered that the woman was a victim of domestic violence and attempted murder. She was going to lose her house in one week. Jack and his wife helped to connect her with social service resources so that she could begin to recover and get back on her feet, and she now has a safe home for herself and her children. The second workshop I attended, “Weathering Brainstorms: Understanding Trauma,” was led by Mike Ritter, Public Education Coordinator of Lebanon’s Domestic Violence Intervention. He spoke about the three levels of stress for young children: positive, tolerable, and toxic. Mike explained that positive stress is necessary and promotes resilience. It arises from adverse encounters, and allows you to develop coping skills and utilize social support. Tolerable stress is serious and temporary, activated due to severe stressors such as a car crash. With appropriate care and guidance from adults, children can turn tolerable stress into positive stress. Lastly, toxic stress presents due to an ongoing, intense trauma and a lack of necessary social supports. Mike defined trauma as “the unique individual experience of an event or enduring condition,” which may lead to threat of life or sanity and may affect capacity to cope and function regularly. Mike showed us images of a healthy three year old brain and an unhealthy three year old brain; the unhealthy brain was underdeveloped, and you could clearly see a lack of brain matter. According to Mike, trauma-informed care is an essential method to use for children who have experienced trauma, because it is strengths-based. Instead of asking, “What did you do?” ask “What happened to you?” In order for children to overcome trauma and turn their toxic stress into positive stress, they need help from an adult who is caring, consistent, and compassionate. Lastly, Tori Nuccio, Assistant Director of Financial Aid at West Chester University, spoke about “Addressing Higher Education & Homelessness.” The goal of her workshop was to educate participants on how to assist students in accessing financial aid. She explained different scenarios in which a determination could be made that a student is an unaccompanied homeless youth, which would entitle them to additional financial aid. In order to make this determination, the youth must be under 24 years old, not in the care of his or her parents, and without fixed and adequate nighttime residence. Many times a student chooses to or is forced to leave home, due to a family conflict, abuse, or parental incarceration; however, the reason does not matter when making the determination. Tori explains that many times, a FAFSA is rejected because the student is not sure how to accurately fill out information when they are homeless, and they are unaware that they can receive additional financial aid if this determination is made. Tori attempts to identify homeless youth, so that she can connect them to additional financial aid, as well as resources such as food pantries and housing assistance. All of the speakers at the “Creative Solutions for Displaced Youth” conference had interesting and important information to share. The workshops sparked a lot of conversation around the topic of youth homelessness, which is vital for creating additional resources that aid children and young adults experiencing homelessness. When Laurie Richardson was in grade school, she heard a story about Trevor Ferrell, an eleven-year-old boy in Philadelphia who delivered blankets to people sleeping on the street after asking his parents how he could help the homeless. This story prompted Laurie to take an interest in homelessness and helping others, because she was amazed that one little boy could possess so much generosity and kindheartedness. She had always felt drawn to helping that population, and in high school, career aptitude tests indicated that Laurie was well suited for the social work field. Growing up in suburban Delaware County, Laurie did not see much evidence of homelessness. “But that doesn’t mean there weren’t any homeless individuals there,” she said. “They just weren’t stereotypical. More often than not, the people who were homeless in my town were not ‘bums.’” Even though Laurie did not see very much poverty firsthand, she still liked the idea of helping people. Briefly, Laurie considered becoming a nurse, but she decided she could not administer shots. “I had no stomach for the medical side of it,” she laughed. Currently, Laurie works as a case manager of Independent Living Solutions with Handi-Crafters. Founded in 1961, Handi-Crafters is a nonprofit organization in Thorndale whose goal is to help their clients overcome challenges so they can achieve financial independence. The organization engages with over 400 individuals who struggle with disabilities and mental illnesses, helping them learn life skills through rewarding employment opportunities. They further assist their clients by offering case management. In particular, Laurie works with people with disabilities who are in housing crisis, in order to find them affordable housing options. Laurie has found ways to go above and beyond the parameters of her job, including volunteering for the yearly Point in Time Count, a one night (overnight) census of all the individuals within the county who are street homeless or living in shelters. In addition, she has put collection boxes in her office building during National Hunger and Homelessness Awareness Week, asking for donations that can be sent to the homeless shelters or the food bank. If Laurie could choose any celebrity to play her in a movie about her life, she would choose Angelina Jolie, because she’s a good actress and pretty. If she could be any animal, she would choose a cat, because they’re sneaky and they have nine lives. She would also consider being a bird, because she would be able to fly over people and observe and analyze them, without them knowing. On the sixteenth anniversary of 9/11, we look back on a tragic day in American history. Much like previous anniversaries, it can feel impossible to deservingly commemorate the victims, survivors, and heroes who risked their lives without a second thought. That is why in 2009, Congress designated September 11th as a National Day of Service and Remembrance. A day so vividly remembered but hard to comprehend has now become a day to give back, to honor the fallen, and to take note of the resilience and compassion that first responders and everyday citizens showed on this day sixteen years ago. On Friday morning, just a few short days before the sixteenth anniversary of 9/11, several members of the Chester County Department of Community Development teamed up with Friends Association in West Chester for a Day of Service in remembrance of 9/11. Friends Association for Care and Protection of Children is Pennsylvania’s oldest continual running child welfare agency. Friends Association works with families who are experiencing homelessness or on the verge of homelessness by providing emergency family shelter, homeless prevention programs, and outreach to homeless families. Friends relies on volunteers to keep administrative costs minimal, which in turn allows the money to be better spent on programs and services. The Chester County Department of Community Development volunteers split into two groups. The first group stayed in the Friends Association office and helped prepare for the release of their newsletter. Friends Association explained that a few hours of stuffing envelopes saves over $2,000, which can then be used to assist a family in need. The second group set out to Friends Association’s Emergency Family Shelter down the street, where the morning was spent cleaning, weeding, and moving a family of five from a small apartment to a larger two bedroom apartment, where they will be much more comfortable. The Chester County Department of Community Development recognizes the importance of embracing different ideas and working together as a team, the same way our 9/11 heroes did sixteen years ago. We volunteer to bridge the gap of our differences and work hard to implement solutions that benefit humanity. As we march forward together, we give back in remembrance to those who lost their lives, lost their loved ones, and risked everything to help others on September 11, 2001. Did you know that the Community Development Block Grant, funded by the U.S. Department of Housing and Urban Development, serves 5,877 households in Chester County alone? These funds aid the men, women, and children sleeping in homeless shelters or teetering on the brink of homelessness, and support the rehabilitation of our neighborhoods, roads, and homes. In 2017, 2.285 million dollars were allocated for CDBG-funded services within our county. But a 6.2 billion dollar decrease to the U.S. Department of Housing and Urban Development was proposed in the 2018 federal budget, including the complete elimination of the Community Development Block Grant. As a response to these proposed budget cuts, Decade to Doorways hosted a Week of Advocacy and Awareness from August 22nd to 25th. At 5:00 pm on the 22nd, the community came together to kick off this week with a fun event on the front lawn of Uptown Theater in West Chester. Stages Art Initiative performed live music throughout the event, and Giant Food Store provided snacks and desserts. At the Kick-Off, Decade to Doorways provided information about the services funded by these crucial federal dollars, and the traveling photography display “Humanizing Homelessness in Chester County” was exhibited so that attendees could learn more about real people within their own community who have experienced homelessness, and the process of their recovery. Everyone also had the opportunity at the Kick-Off to fill out a postcard to their legislator, explaining why they personally feel that supportive services and affordable housing programs are beneficial to their community, and urging legislators to vote in support of the preservation of the funds for these programs. Decade to Doorways was able to distribute nearly 1,000 postcards at the event and to staff members at organizations throughout our community that rely on these funds. On Wednesday the 23rd, Decade to Doorways asked that the whole community take a moment to call their legislators and speak with them about the importance of preserving federal funding for supportive services. Thursday was Email-In Day, and D2D provided information about democracy.io, a website that allows you to easily find contact information for your legislators and email them about specific topics, such as homelessness. Then on Friday, the final day, D2D asked that everyone complete their postcards and mail them in to the members of Congress that represent Chester County. Although Advocacy Week is over, it’s not too late to voice your opinion! It is critical that we continue to stand up for the people within our community and throughout the country who rely on these federally funded services. You can continue to make your voices heard by visiting, calling, emailing, and writing to your legislators, and educating others on the importance of these programs that aid people on the brink of and experiencing homelessness. Growing up in Drexel Hill, Gina says she took for granted having a “normal” home and family and rarely noticed evidence of homelessness. She didn’t have a clear understanding of what poverty was until she started college at Villanova. There, Gina was able to go on service trips to poor communities in Mexico, Peru, and South Carolina, where she witnessed poverty firsthand. Originally interested in becoming a teacher or marriage counselor, Gina earned a Bachelor’s Degree in Psychology. However, while volunteering with Mercy Volunteer Corps as an outreach counselor, Gina fell in love with her position and decided that she wanted to help people find homes. She earned her Master’s in Social Work at the University of Maryland, with a specialization in Social Planning. While every day at Open Hearth is different, Gina enjoys the unpredictability of her job. She tries to always be prepared for what might be thrown at her. She spends some days working out issues with clients, and others filling out reports for funders. Her work involves switching gears fast and constantly, and it’s never the same. Gina says that her most memorable days of work have involved crisis intervention and resolution, particularly while she worked as a member of the ACT (Assertive Community Treatment) Team for Pathways to Housing in Philadelphia. There, she sometimes faced dramatic highs and lows due to the unpredictable nature of the job. Gina enjoys the challenges that social work presents. “Impoverished people within the community deal with a complex puzzle of issues, and it’s my job to match the resources to each person and situation so that they can overcome the barriers they’re struggling with,” she explained. Gina has felt the most successful in her career while doing direct service. “When you help someone get into a house, you feel like you did your job,” she said. She’s happy that she has experienced a variety of roles and positions, and believes that challenging herself has allowed her to understand homelessness from multiple perspectives. What surprises Gina most about her work is how intertwined she has become with her clients’ lives, and how much they are willing to let her in. “It’s incredible how much they trust you to help them,” she says, “and it’s strange that being intrusive starts to feel normal.” Gina always tries to balance between holding clients accountable and making sure she is being respectful. She won’t sugar coat a situation, preferring to be firm and direct, but she also wants her clients to feel comfortable and trust her so that she can help them to the best of her ability. When she can, Gina tries to bring laughter into a situation, so that she can get others to lighten up. As an incredibly active and dedicated member of Decade to Doorways, Gina is proud to have co-chaired the Systems Change Action Team. Originally nervous to be in charge of the committee, Gina has proven herself to be a worthy and diligent leader. She has enjoyed gaining the trust of the group and learning how to lead, and praises her team for accomplishing the goals they have set. The newest member of Decade to Doorways, Lara Dorfman, began her year of service as an AmeriCorps VISTA at the end of July. She is excited to work alongside Lauren and Roberta and collaborate with the other agencies within the community who are working diligently each day to prevent and end homelessness. 1. In May, she graduated from Temple University with a BA in Communication Studies and Public Health. If she could do it all over again she would, because she thought the Communication program at Temple was incredible. 2. Her favorite class was called Media Criticism, which she took during her last semester. Her professor tailored the class to focus on Apocalyptic Scenarios, which ended up being very interesting. 3. She has three younger sisters and two older brothers. 4. Her favorite food is French fries. 5. She went to London last spring and did an internship with the NHS program called Thrive Tribe. The program offers free weight management classes that included cooking, simple exercises, and other support. They also offered free smoking cessation counseling and smoking cessation products. It was her favorite internship and she wishes these kinds of programs would be implemented in the U.S.
6. In high school she was on the crew team, and now she runs for fun. 7. She has absolutely no sense of direction. 8. Her favorite movie is Superbad. 9. She went to the University of South Florida for one semester before transferring to Temple, because she couldn’t stand not living in the city. 10. She decided to join AmeriCorps after an old internship supervisor described her own experience with AmeriCorps, which she loved. This past week I was able to attend the National Alliance to End Homelessness Conference and Capitol Hill Day in Washington, D.C. It was an incredible conference, packed with great speakers that addressed crucial topics. I felt privileged to have been able to attend and bring back the knowledge to assist our community in bringing an end to homelessness! But today, I wasn’t here to be a wallflower. I wasn’t here to be a silent bystander. And when finally arriving in front of the office of my legislator, I had the timely realization that, I absolutely belong here. This is my country, and if I am unhappy with the implications that this government would have on those in need in my neighborhood, I don’t have to say anything, I get to. What a privilege. The fact of the matter is, I wasn’t there to speak for me. Being motivated by assisting others – this helps me. I often pray to be given the words that would sustain the weary, and today was no different. Today I’m speaking for approximately 1,200 people who were homeless and received services last year and potentially thousands more at risk of homelessness in my County. I’m speaking for the individual that may never get the chance to set foot in this building – because they’re working three jobs to pay for the rent, their kid’s child care, and a van to fit the new baby on the way. The individual who is forced to choose between paying for housing and paying for medication to treat their depression. The individual whose husband left them alone with three kids and no car. That’s the person I’m here for. And on Wednesday afternoon at 3:05 pm while I waited for the visit with my legislator, I imagined them. At that point, it didn’t matter if I said all the right words. It mattered that I showed up and I spoke up – because there are so many that can’t. We’re in a time where actions matter. We must be vocal about the impacts that funding cuts would have on those who are most in need in our neighborhood. Perhaps you can’t show up, but call, write, text, tweet. Find a way to say what needs to be said to protect the most vulnerable in our County. Recently I had the pleasure of speaking with Anthony about his role as Housing Support Specialist with ConnectPoints, and how he got involved with social work. Tan and cheerful after having just returned from a family vacation at Disney World, Anthony first chatted with me about his trip – including his fear of roller coasters and his lengthy quest for his step-daughter’s lost Harry Potter wand. I first met Anthony at a Cross Systems Partnership meeting in Coatesville last winter, and was inspired by his passion for serving the homeless population, particularly during a frigid week where Code Blue was in effect and the Coatesville Library was closed, leaving many individuals on the street with nowhere to escape the cold. Now, Anthony advocates for the development of a program to distribute lunches to kids in Coatesville during the summer, when school is out and they may not be able to eat all day. After graduating high school, Anthony was unsure of his next step and didn’t have much guidance, and so he worked at a lot of different jobs while trying to decide on a career goal. Eventually, the fear of unemployment encouraged him to begin looking into college. Anthony realized that he loved the idea of helping people, and was fortunate enough to find a social work program at Eastern University that offered night classes. Therefore, he was able to work during the day and also complete an internship at a homeless shelter in Philadelphia, where he helped run an after school program for youth. For the next few years, Anthony worked hard to complete his education. He also began working at a second internship with the Good Samaritan Shelter in Phoenixville. Anthony explained that the long days were very stressful, and left little time for him to see his wife. When he received his Bachelor’s Degree in Social Work, Anthony described getting his education despite the town he was from as his greatest success in life. While at Good Sam, Anthony met Rei Horst, who was working at Family Service of Chester County. Rei was impressed by Anthony’s people skills and informed him that Family Service was in need of a multilingual provider, and so Anthony applied for and received the job. Now, Anthony describes Rei as a great role model and mentor in his life, always willing to offer him support and flexibility. In his role as Housing Support Specialist after the establishment of ConnectPoints, Anthony speaks with people in need of emergency housing, rental assistance, food, and other supportive services on a daily basis. Anthony enjoys connecting with individuals from other organizations because he believes collaboration between agencies will more efficiently provide clients with the assistance they need. He also prefers to meet with clients in person, because he has a talent for reading other people’s expressions and analyzing their intentions. As an active member of Decade to Doorways, Anthony is most proud of his work with the Housing Stabilization Action Team on the Ride Guide, an interactive and user friendly map of transportation throughout Chester County. Anthony is also interested in becoming a board member at Orion Communities soon. He enjoys spending time with his family, swimming in his new pool, and watching comedy shows and skits on Netflix. Having been in the nonprofit world for ten years, Anthony sees himself as quite flexible, a team player, and very much a people person. Anthony finds his job most enjoyable when the opportunity arises for him to get out in the community and meet with clients or members of other organizations. Despite being tough-skinned, Anthony still finds it difficult when he knows someone is in a desperate situation and there is nothing that can be done. He recalls one time when he knew a client would have to spend the night on the street during the winter because the shelters were full, and he felt so upset that he considered paying out of pocket. But in the end, Anthony says it’s important to keep a thick skin in this line of work, because if you are too soft you can easily be manipulated. What surprises Anthony the most about his work is that we do not have more resources and affordable housing, considering the level of need in the county. While he admits that this is partially a funding issue, he also points to the lack of volunteers as a huge factor. Anthony says he has a hard time finding people who are willing to sacrifice time or resources in order to help out as a volunteer. On a lighter note, Anthony confessed to me that if he could be any animal, he would choose to be a puppy, because “everyone would treat you good.” He also proudly stated that he would want Denzel Washington to play him in the movie about his life, because he looks up to the actor. Have You Heard of "Doubled-Up"? There are incidences where we have either stayed with family and friends or had family and friends stay with us during times of need. For families or individuals experiencing homelessness, staying with family and friends can be a means of staying out of shelter and trying to get back on their feet. Living arrangements of the homeless population are on a spectrum. To list a few situations: “doubled-up” (with family and friends), transitional housing, emergency shelter, or on the streets. The doubled-up living arrangement of the homeless population is maintained through informal social supports. Doubled-up living can be considered an informal social support and as informal housing assistance. Social supports impact the ability for a family or individual to attain stability. Informal social supports, also known as natural supports, can be identified as family, friends, kinship ties, church communities, and other community circles. On the other hand, formal social supports are characterized as social service agencies, government agencies, community resources, assistance programs, shelters, etc. Informal and formal social supports have their own unique value: informal social supports as bonding ties and formal social supports as bridging ties. Studies identified informal social supports as enduring, long term, and providing “bonding” means of emotional support. In contrast, formal social supports are identified as short term but “bridge” individuals and families to resources that can maximize their economic and educational strengths (Cook-Craig & Koehly, 2011;Hawkins, 2010; Skobba, Bruin, & Yurst, 2013). Often, informal social support networks and doubled-up living situations can become strained, exhausted, and burnt out. As a result, individuals and families resort to tapping into formal social support systems and programs. Housing Choice Vouchers and Rapid Re-housing are two forms of formal rental assistance programs where availability and funding can fluctuate. At times, the need can exceed availability of resources. Many government entities, such as the Department of Housing and Urban Development (HUD), use the United States Code of Federal Regulation (CFR) to identify whether an individual or family is homeless. The CFR used to identify eligibility of specific government programs, deems doubled-up living arrangements as “at risk of homelessness” (Emergency Solutions Grants Programs, 2012). Therefore, individuals and families in doubled-up situations would not meet eligibility requirements for specific government rental assistance programs. How can we assist and support neighbors in doubled-up situations? How can we tap into and maximize informal social support networks as the strengths that they are? What services or means of diversion can we provide to support individuals, families, and social support networks to become stable and out of the shelter system? What resources can network together to provide a web of support to families unable to access formal rental assistance to attain financial and housing stability? Cook-Craig, P., & Koehly, L. (2011). Stability in the social support networks of homeless families in shelter: Findings from a study of families in a faith-based shelter program. Journal Of Family Social Work, 14(3), 191-207. Emergency Solutions Grants Program, 24 CFR §576.2 (2012). Hawkins, R. (2010). Fickle families and the kindness of strangers: Social capital in the lives of low-income single mothers. Journal Of Human Behavior In The Social Environment, 20(1), 38-55. Skobba, K., Bruin, M., & Yust, B. (2013). Beyond renting and owning: The housing accommodations of low-income families. Journal Of Poverty, 17(2), 234-252. What should the role of Decade to Doorways be? What has gone well during the past two years in D2D? How has D2D changed or influenced what you or your organization does? Reflect on the meeting format of D2D. Where is there room for improvement within D2D? These questions sparked lively discussions and debates amongst the approximately 80 individuals in the room, and for the next hour, the group dissected Decade to Doorways, praising its accomplishments and how the homeless support systems have evolved due to the implementation of D2D, and offering suggestions that could help to develop and expand current practices. The atmosphere was very positive, as everyone believed that the progress made so far has helped our agencies serve the most vulnerable people within our community, providing them with the resources and supports necessary to improve their lives. The group generally decided that the role of Decade to Doorways should be to provide strong leadership that forges connections between nonprofits to build a robust, interconnected web of support, all while advocating on behalf of these organizations to the community to raise public awareness of the issue of homelessness, and to government officials to educate on the importance of these services and protect the federal funding that supports them. Many attendees commented on the lack of affordable housing in Chester County, and the need for more supportive services that assist in diverting individuals on the brink of homelessness, so that they never have to enter the system in the first place. This could include rental and utility assistance, meals, or personal care items. An increase in case management once a client receives stable housing was acknowledged as a key element that would lead to future success with housing stabilization. Another need identified by the group had to do with the lack of public knowledge about what Decade to Doorways is, and how it operates. By spreading the word via social media and news outlets, D2D will be able to gain public recognition and a potential increase in public support. Most importantly, the need for more consumer voices at meetings and events was brought up several times. This would allow individuals with lived experience to have an influence on the decisions that are made concerning the services they receive. The group commended the collaboration between nonprofit agencies, organizations, and the government that has increased due to D2D’s support and leadership. This collaboration has increased communication about the types of services each organization offers, so that we can all work together to serve the homeless and at risk population more effectively. The implementation of ConnectPoints and the VI-SPDAT has allowed supportive organizations to identify and prioritize the needs of the individuals they are serving, so that we can ensure we are serving the most vulnerable people first. To end the meeting, Lauren Campbell posed the question: How do we end homelessness by 2022? The answer is not straightforward or simple. But by ensuring that everyone’s experience with homelessness is rare, brief, and non-recurring, we can more effectively serve everyone in our community who is in need of support. As a child, Sandra Lewis dreamed that she would one day grow up to be a dancer or train horses. She initially became a certified Interior Designer, before deciding this was not the career path she wanted to follow. Her faith guided her down a different path, and she realized she wanted to help homeless and impoverished women and children. Growing up in a tight-knit, safe neighborhood in Virginia next door to her best friend, Lewis had no knowledge that homelessness existed within or beyond her protective community. “It was a different day and time,” she said. “In the 40's and 50's, you took care of your neighbors. My family was very compassionate for others. I never saw any evidence of homelessness in my community.” Now, she wonders if we are more aware today of the problems that exist among the poor, or if these problems have escalated. After moving to Coatesville and witnessing poverty firsthand, Lewis’s empathy for the poor grew. She had always felt that her faith and beliefs held her true, and she was disturbed by the lack of shelter for homeless women and children. When she became president of the Board of Directors for the Coatesville YWCA (currently the CYWA) in 1981, Lewis saw and heard about many women sleeping outside and in garages, tents, and campers, and wanted to do something about it. In 1983, she founded the YWCA Emergency Shelter for Women and their Children. There, she was responsible for supervising case managers, providing individual counseling, establishing a hotline for women in crisis, soliciting funding, and many other projects. Three years after founding the YWCA Shelter, Lewis delivered a speech in which she implored the general public to become more aware of the homeless women of Chester County. Lewis laid out the facts about single mothers trying to survive and support their children on wages that fell below the poverty level, with little to no support from the community. She said this was “fast becoming a critical situation,” and “answers will not be found until the issues, questions, and situations are posed.” Concluding her speech, Lewis stated, “dare to look with me into the faces of our homeless women and children, may it haunt us all, comfortable Americans, until we are compelled to help ease the pain.” A year later, Lewis founded and served as acting director for Bridge of Hope. In 1998, Lewis received her Master of Human Services Degree from Lincoln University, where she graduated among the top ten in her class. Two years later, Lewis became the Director of Counseling for the Domestic Violence Center of Chester County, where she currently works. Lewis says that every day is different. Sometimes there is a crisis she must assist with, and sometimes she is able to celebrate when someone finds safe and affordable housing. Lewis believes that the women she helps suffer from multiple layers of a complex trauma. Since there is not a simple cause, there is no simple solution. And while she is well aware of the amount of women living in poverty and unstable housing in Chester County, many others within the community have no idea. “It’s not that they don’t care,” she says. “They just don’t see it.” Being so immersed in the struggles of these women, Lewis says she experiences “vicarious traumatization.” Even though she has not faced the traumas that they have suffered, Lewis empathizes so deeply that she sometimes feels traumatized herself. Knowing the dangers of this world, she fears for the safety of her own children and grandchildren. Despite this, Lewis feels confident that she has done the best she can do to help those in need. For others who are interested in beginning this kind of career, Lewis advises, “If you’re looking for monetary reward, you won’t find it here. This is a place to give.” While her job is emotionally challenging, Lewis believes that “life is all in your perceptions, in how you view a situation.” Lewis views each day as an opportunity to give love and to be loved. Beyond work, Lewis enjoys a rich life. She takes pride in being a confidante for her grandchildren, and relishes every moment she is able to spend with them. Her parents provided for her a stable and supportive home life, and family means everything to her now. Witnessing the wisdom of her children has been one of the the greatest successes of her life. She is also an active participant in her church community and loves to spend time gardening. Currently, she is learning French from a CD in her car. If she could choose anyone to play her in the movie about her life, Lewis would pick Sandra Bullock, because she enjoys many of her movies and they share a name. She would also choose to be a horse if she could be any animal, because she grew up around horses. On May 22, Decade to Doorways collaborated with the Pennsylvania Link to Aging and Disability Resources to host a forum for approximately 75 landlords in and around Chester County, called "Healthy Tenants, Happy Landlords." Experts spoke about Hoarding, Bed Bugs, and Lead and Mold Remediation. Organizer Elizabeth Doan, Coordinator for the Link, hoped to foster new relationships between landlords and service providers in order to support low-income tenants within Chester County. Annie Amoon Richard, Certified Professional Organizer for Amoon’s Custom Organizing, spoke first on the topic of hoarding. She defined hoarding as a disorder in which a person has difficulty discarding, which leads to an accumulation of stuff that prevents normal use of space. People who suffer from this disorder generally feel emotional attachment to their belongings, and experience distress due to feelings of responsibility and a fear of waste. Most individuals who hoard are over the age of 40, intelligent, perfectionists, and socially isolated. Unfortunately, Richard explained that hoarding can lead to conflict with loved ones over clutter, health risks, inability to have visitors due to embarrassment, and mental health problems, especially depression. Many landlords view this situation as irritating due to the increased maintenance hazards and risks of infestation and structural damage. Richard encouraged landlords to conduct a home visit and speak with their tenants patiently, asking questions and expressing empathy. She explained that gasping or attempting to remove the tenant’s belongings without permission would lead to negative emotional reactions and increase the tenant’s distress. It is important to evaluate the situation for safety violations and ask the tenant what kind of supports they need. As a member of the Philadelphia Hoarding Task Force, Richard hopes to improve outcomes for people who hoard and reduce the catastrophic consequences related to hoarding for residents in the area. The next speaker, Paul Bello of PJB Pest Management Consulting, led a lively discussion on bed bugs and pest management. As the author of “The Bed Bug Combat Manual,” Bello is one of the foremost experts on pest control and has removed bed bugs from residential homes across the country. According to Bello, it is imperative for landlords to establish an effective bed bug management program, which should incorporate chemical treatment, heat (at or above 122 degrees), and a high-powered vacuum. A bed bug can lay up to 300 eggs in the course of its lifetime, which can last up to six months. Bello explained that bed bugs are adept at hitchhiking, and so no matter how clean your own living space is, you could easily pick up bed bugs somewhere else and bring them home. In addition, bed bugs can easily crawl through cracks in the walls of a neighboring apartment or room, spreading the infestation. Therefore, it is not always the fault of the tenant when bed bugs are discovered at their residence. Tenants, landlords, and pest management experts must work together in order to ensure the health and safety of all residents. The final presenter, Ron Gerricke, Director of Field Operations at McCright & Associates, spoke on the topic of lead and mold remediation. Gerricke focused on the dangers of lead-based paint, which can cause serious health problems if ingested due to its toxicity. Prior to 1978, there were no federal regulations restricting the use of lead in household paint. Lead-based paint is easy to identify on windowsills and wooden door frames, where paint may be peeling. Children and family members could easily inhale dust from the paint or ingest flakes, which would present serious health risks for the household and legal issues for the landlord. According to Gerricke, it is important to encapsulate all surfaces where paint is peeling, chipping, flaking, or dusting. In addition to the valuable information the landlords were able to take home with them, prizes were also given away during the raffle at the conclusion of the forum. The prizes included a tour of the 6abc news station, gift cards to hardware stores and local restaurants, free consolations, and sports memorabilia and tickets. Overall, the event was successful in educating landlords on the many ways to keep their tenants healthy and their units clean.